Senators Ted Cruz and Dean Heller propose a law that would remove the president's authority to bar the embassy's relocation. The US Senate is taking another stab at changing the White House's policy of keeping the American Embassy to Israel out of Jerusalem. 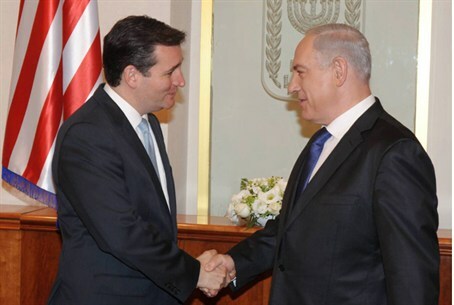 On Tuesday, US Senators Ted Cruz (R-TX) and Dean Heller (R-NV) proposed a law that would remove the president's authority to invoke national security as a reason to ignore Congressional resolutions on moving the embassy to Jerusalem. According to the measure, called the Jerusalem Embassy and Recognition Act of 2015, the White House would be required to identify Jerusalem as the capital of Israel even before the embassy is physically moved. In 1995, both the Senate and House overwhelmingly passed the Jerusalem Embassy Act of 1995, which required the relocation of the American Embassy to Israel from its current location in Tel Aviv to Jerusalem. That law was passed with a proviso that allowed the President to, at his discretion, postpone the move on the basis of “National Security” concerns, which would be reviewed on a yearly basis. That proviso has been activated every year since the original Act was passed. The bill by Cruz and Heller would remove the proviso from the original Act, requiring the White House to immediately comply with the previously-passed law. Cruz, one of the more colorful – and conservative – members of the Republican Congressional delegation, is considered a potential Republican candidate for president in 2016. He has not said yet whether or not he plans to run.